When I was 20 I saw an edition by Tracey Emin in a random friend of a friend’s apartment. It was called Dog Brains. I was obsessed with it. My parents bought it for me when I was 21, and that kicked it all off. I was buying editions at first because it was affordable and less of a risk. Then from The History Boys movie money, I went and acquired an original Tracey Emin monoprint from White Cube. I got such an adrenaline buzz from knowing that you can invest into art history and buy something that’s going to outlive you. You can support and grow with these contemporary artists that excite you. That’s a totally unique experience. For me, that’s something that’s always been the most exciting part of collecting. You’re something of a regular in the Chelsea art scene. Can you name some of your favorite galleries? There are loads—I have a lot of favorite galleries. I love Anton Kern andGladstone Gallery in Chelsea and the Upper East Side—they always have excellent shows. Karma, Essex Street Gallery, and Canada downtown are superb and dynamic. But I also love traveling out of town. There’s one in Chicago that I’m finally going to see this weekend, Shane Campbell Gallery; I have a great relationship with Eric Rushman there, who I think is one of my favorite art dealers. The roster there is awesome. Every week I discover new artists here in New York. Working here through the summer, the art scene was incredibly quiet, and then, after Labor Day weekend, every single gallery launched a killer show, and the fun fair was fully open again. Who are you collecting these days? Tony Lewis is an ultimate favorite. Jamian Juliano-Villani at JTT Gallery—I think she’s a genius. A total genius. I really love Torey Thornton and Will Boone. And someone who I’ve committed to in a big way is Walter Price at Karma Gallery. He is a true star and an excellent artist, someone I really predict amazing things for. In photography, Wolfgang Tillmans has always been an ultimate favorite, and I always try to collect his work. Shannon Ebner: I think she’s superb. Elad Lassry is a constant. 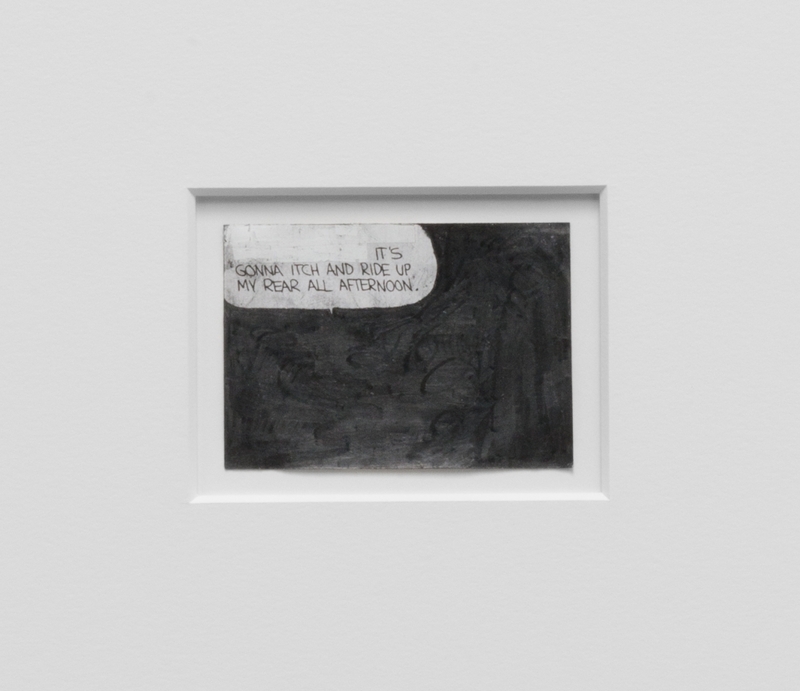 If I had an unlimited budget I’d collect Joe Bradley and Rebecca Warren‘s works. Rebecca’s become a dear friend of mine, and I have a few cool little works by her; but a superb, large bronze of hers in my living room to come home to every day would make me weak in the knees. I’ve also really fallen for the smaller works of Elizabeth Ferry, her little snail sculptures are very affordable and very cool and totally fun to live with. And she’s also a wonderful person. Would you say you have a proclivity for British artists? I started by collecting British-based contemporary female artists. It was a decent rule to hone my collecting, but I obviously branched out. What do you do? Do you collect everything or do you set parameters? At one time I thought I was going down a photography route, and then painting, and now works on paper. There’s an argument that works on paper are of a lesser medium, but I find that the immediacy and energy of works on paper are more exciting. Torey Thornton believes and pushes his works on paper to be just as important as his canvas works; the same goes for Tony Lewis, who almost wholly works on and with paper. I’ve found, as I look around my apartment, that I have proudly ended up collecting some amazing and very important works on paper. But things always change. For a while I was more conceptual and minimal, collecting Matias Faldbakken and Lucie Stahl and Yngve Holen, but now my instinct is going back to more vibrant, live, and cartoony works. An artist I think is completely unappreciated is Ansel Krut. He’s an artist other artists love, which to a collector sounds exciting, but it’s something I fear artists don’t want to be without being commercially appreciated as well. I think his genius is still fully undiscovered and his talent is waiting to be celebrated.